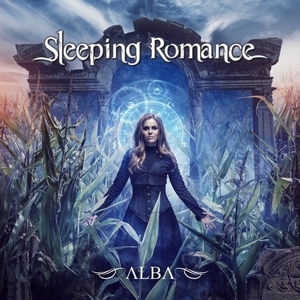 The Italian symphonic metal squad of Sleeping Romance will release their sophomore effort Alba on Napalm Records on November 3rd, exactly one week from today. We at Dead Rhetoric have been charged with hosting the premiere of one of the album’s most energetic cuts in “Lost in My Eyes” below. If you like what you hear, you can pre-order the album or a t-shirt bundle at THIS LOCATION. In a recent 8/10 review of Alba, our own Kyle McGinn stated, “Those that enjoy the power of heavier symphonic acts like Epica and Xandria will find Sleeping Romance to be worth checking out. Alba does it’s best to differentiate itself from the pack when it can, and finds itself with some excellent balance between classical/orchestral beauty and solid metallic riffing.” The full review can be read HERE. Of the track itself, the most appealing aspect is that of the driving melodeath riffing that almost instantly sticks into your head and refuses to leave. Glorious and galloping melodies that are fueled with energy – it’s truly hard to sit still as they rip through the speakers. Vocalist Federica Lanna compliments the sound well with beautiful lines that are still full of power. It’s rounded out by some rumbling bass work and classical arrangements that accentuate the riffing without overstepping any boundaries. In short, a spirited romp that is sure to put a smile on your face as you incessantly headbang. “Lost in My Eyes” should find equal footing with both melodic death metal and symphonic metal fans, as should Alba as a whole. 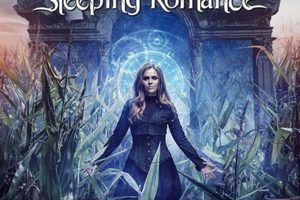 Let the curtain rise on the sensual seduction of Mediterranean Symphonic Metal: SLEEPING ROMANCE provide a symphony for the broken hearted who somehow manage to love again. Alba leads a journey of orchestral opera arrangements and siren songs; touching, sometimes frightning, but always as personal as can be. Songstress Federica Lanna means every word of “ The Bleeding Darkness In Me”. As always, Federico Truzzi flatters her lovely voice with delicate guitars. The Italian quintet display true mastery, as they fuse bloodcurdling classical sounds with monstrous Melodic Death Metal-riffing, full of force yet sustained by noble, theatrical flamboyance. After the success of their debut Enlighten SLEEPING ROMANCE’s frenetic Alba is not to be ignored. For fans of Napalm Record’s finest XANDRIA.